As a crowd-funded project, what’s the best way to completely piss off your hundreds of thousands of backers over night after having given them nothing but positive vibes for almost a year, even when you are days from launching your product? Well, you do what Coin did. 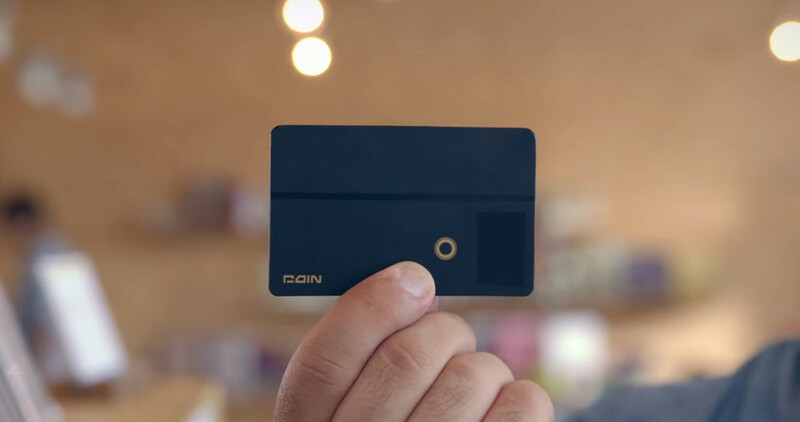 On Friday, Coin – the credit card to replace all cards – did something pretty ball-less. Only a week after telling its backers that it would start shipping their Coin credit cards by August 28 and that everything was on-schedule and awesome, a series of news stories showed up detailing a number of massive changes to the program that none of their backers knew anything about. This is more than likely how it went down. Coin, realizing it had to make massive changes to its product rollout to make it more stable, have time to work out manufacturing issues, and get a larger group of people out in the wild to beta test, decided that instead of telling its backers first about the news, that it would try and mislead or avoid the truth when it issued statements to select press outlets. So that’s what Coin did. They hand-picked select media outlets, briefed them on the situation (even offered up a chance to speak with the head of Coin for quotes), showed some demos, and sold them on the changes without actually telling any of them that there was a delay. Don’t believe me? Go back to Friday and find the early stories about the news surrounding Coin. People get to beta test! A launch is here! Yay, for Coin backers! It was as if this was the plan all along or that major changes to the program were nothing but a minor hiccup. None of these stories mentions a delay or the fact that no one in the Coin backer group had any idea that this was going on. In fairness to these outlets, they probably had no idea what was really going on (how could they know? ), and were simply taking the carefully crafted news that Coin’s press team was feeding them. But then backers started receiving “Claim Your Coin” emails with the new details about a previously unannounced beta program, paying for another Coin at a later date, and a push to 2015 for the “Gold Standard” edition. We got ours as well. There was never once a mention of a delay. People freaked out. We called Coin out on their bullsh*t. People got angrier. Some began organizing to file a class action suit. And then finally, Coin apologized, a full day later. And that’s where we stand now. Coin is sorry that it didn’t let its backers know first, you know, the people that are actually making their product a reality. That would be the same group of people that had been told nothing but positive things for months. To make up for the mistake, Coin will now open up the beta to 15,000 people instead of 10,000 people, but also run it at no cost to backers. Yes, in case you missed it, they initially planned to charge backers to pay for this expanded beta test. They will still issue you a refund if you don’t feel like waiting or testing. Here is the letter being issued to backers. We apologize for our lack of transparency and clarity in our communications to you. You, as our valuable backers, should have been the first to know about all product updates. We honestly thought we could make our timeline. We were overly optimistic. The San Francisco Bay Area Coin Beta made it evident that we should conduct a larger nationwide Coin Beta. We need your help with testing nationwide, but realize that this is not a cost for you to bear. Therefore, we will run a nationwide Coin Beta for no cost to Coin Beta Backers ($0) and increase the number of Coin Beta devices by 50% to 15,000. We’ll do our best to grow this number over time. To clarify, your spot in the Coin Beta program is determined by your pre-order date, regardless of whether you opt-in with the iOS or Android app. We feel responsible to the commitment each of you has given to us by backing Coin and so we haven’t spent even one dollar of the crowd funding campaign. All our efforts and production has been supported by equity dollars.